Following the conclusion of a two-year, $30 million renovation, Rancho Valencia Resort & Spa is celebrating its 25th anniversary with anniversary-themed programs and offers. The Silver Anniversary Charmer room package gives guests the “best available rate” on accommodations and includes a $250 resort credit, which can be used on dining, spa treatments, tennis and more. 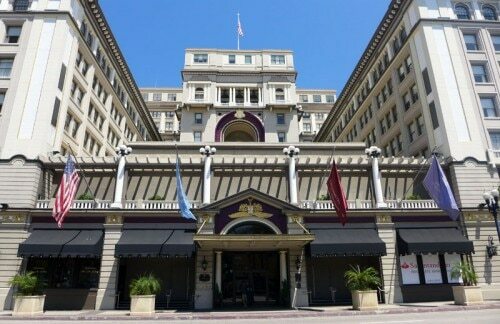 Listed on the National Register of Historic Places, The US Grant hotel has been a San Diego icon since its debut in 1910. While the handsome hotel itself is a sight to see, its history is what makes this property so fascinating. The land (which was once owned by the Kumeyaay tribe) was the home of San Diego’s first major hotel, Horton House Hotel, until it was bought and demolished by Ulysses S. Grant, Jr., son of the eighteenth U.S. president. In its place, he built The US Grant (named after his father), an eleven-story, luxury hotel in what is now the Gaslamp Quarter of downtown San Diego.